Search for the best flight prices from Stansted to Jerez. Compare prices, book today and save money with Stansted Airport. 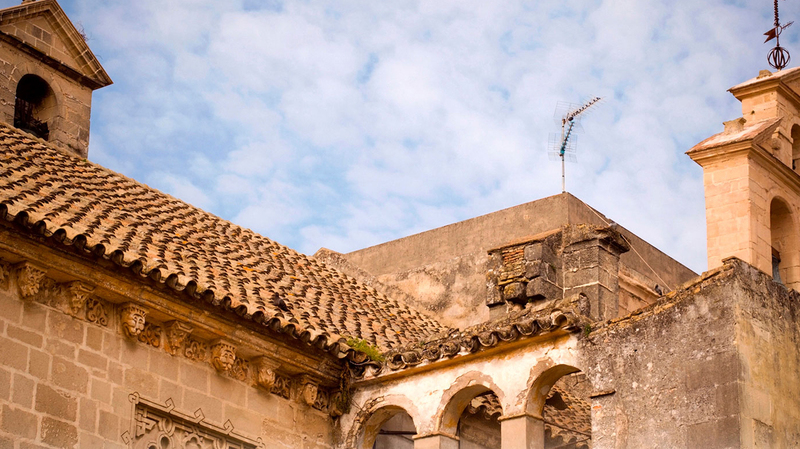 Beneath the laid-back atmosphere and winding cobbled streets Jerez is a city of rapturous passion, and as the birth-place of the Flamenco dance and with thriving local traditions, such as horse-training and sherry-making, you would expect nothing less. Here you experience a fine example of luxurious Spanish life, with an extensive selection of hotels and villas to help you relax and explore the rich culture and diverse attractions of this Andalusian paradise. The home of flamenco is a laid-back city of cobblestone plazas and traditional Andalusian architecture. Right in the heart of town, the grand ambience and immaculately manicured gardens of Villa Jerez (Avenida de la Cruz Roja 7) is the city's top address for luxury stays. If your budget doesn't stretch that far, Jerez de la Frontera has an abundance of mid-range and budget hotels. With its rooms a happy blend of traditional décor and modern facilities, Casa Grande (Plaza de las Angustias 3) is a steal, while the airy contemporary feel and friendly service at Sercotel Asta Regia Jerez (Calle San Agustín 9) make this hotel a mid-range Jerez favourite. Local traditions of flamenco, horse training and sherry making have played a huge role in Jerez's culture, and there are shopping opportunities galore to take a piece of this heritage home. Visit the bodegas of the Old Town to sample your favourite tipple. Bodegas Tio Pepe (Calle de Manuel María González 12) is one of the best. Search out fine pieces of local pottery at Ceramica Amaya (Avenida Carrero Blanco 16) or discover the regional wickerwork at La Esparteria (Calle Ramon de Cala 17). Serious horse riders should head straight to the city's famed saddle shop Duarte (Calle Larga 15) which also carries a range of other leatherwork. Andalusian cuisine is rich in earthy, wholesome flavours which complement the regional sherry. Top dining spot Restaurante Sabores (Calle Chancillería 21) is the place to dig into the diverse tastes of the region. With its succulent seafood dishes, Restaurante La Posada (Calle Arboledilla 1) is another foodie treat not to be missed in Jerez. There are plenty of tapas bars sprawled amid the narrow alleyways of the centre if you fancy a cheaper dinner or just a drink. Bar Juanito (Calle de Pescadería Vieja 8) is a friendly, cosy choice. Celebrating Jerez' reputation as the birthplace of flamenco, this two-week festival is an extravaganza of the foot-stomping, rhythmic dance. Jerez's Easter procession is one of the best in Andalusia with approximately 30 religious brotherhoods taking part. The city's most famous annual event takes place in Gonzalo Hontoria Park and has a history that stretches back 500 years. Honouring Jerez's deep-rooted equestrian heritage, the fair hosts a programme of show-jumping and dressage competitions as well as plenty of non-horse-related music and dance (particularly flamenco). It's basically one big excuse for a fiesta which the locals have seized with typically Spanish gusto. This festival of viticulture takes over the streets of Jerez to coincide with the annual grape harvest. Vineyard visits, open-air concerts and parades featuring flamenco and horse showmanship are all part of the fun. Part of the Spanish Grand Prix circuit, this three-day motorcycle event brings speed-aficionados flocking to the city. There are two days of qualifying events before the big race itself.